It's no secret that quilting and sewing are female-dominated art forms. From "girly" floral fabrics to the stereotype of grandmas making quilts, it can seem like there's not much out there for the guys to embrace. That's why it's been fun to see more guys get in on the fun over the past few years. It's also been fun to find more and more fabric designs with a "manly" appeal. Today we're celebrating several new collections from Kanvas made with boys and guys in mind. 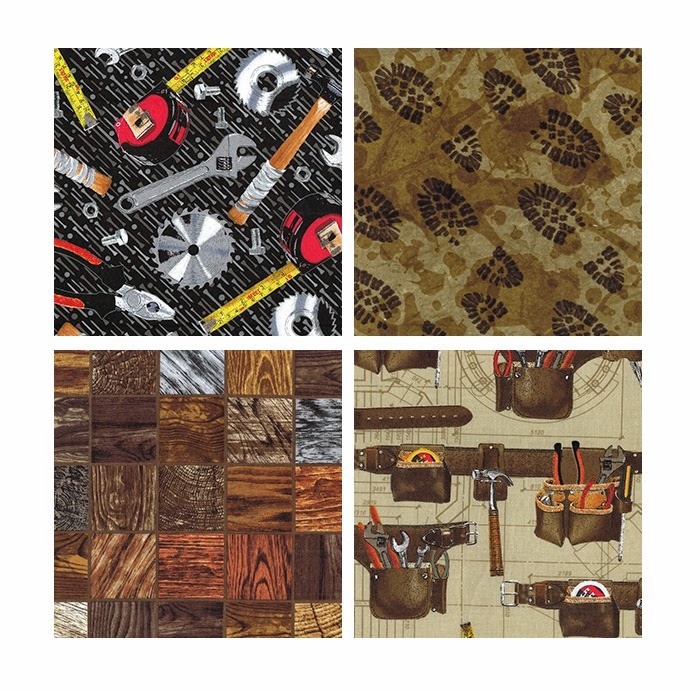 Take note of these prints and ask for them in your local quilt shop--they might just be perfect for that next quilt or pillowcase for your husband, son-in-law, or grandson, or even your favorite (aspiring or actual) firefighter or policeman! 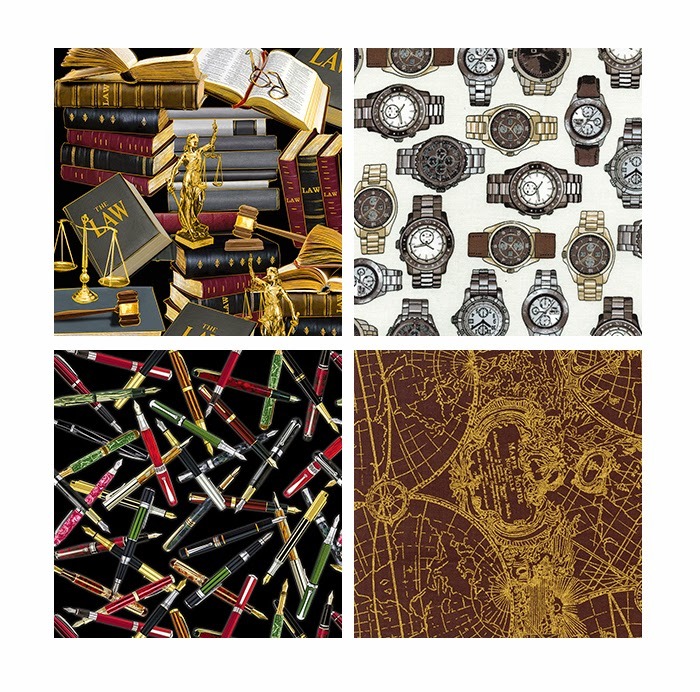 We're sharing a few prints from each collection here; be sure to head over to our Facebook page to see the entire collections. 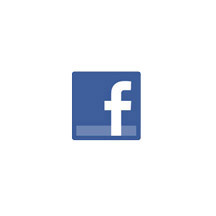 Click here to see the entire Boys in Blue collection. Click here to see the entire Firefighters Rock collection. Click here to see the entire I Love My Handyman collection. Click here to see the entire Law Library collection. Thank you for these fabric lines. 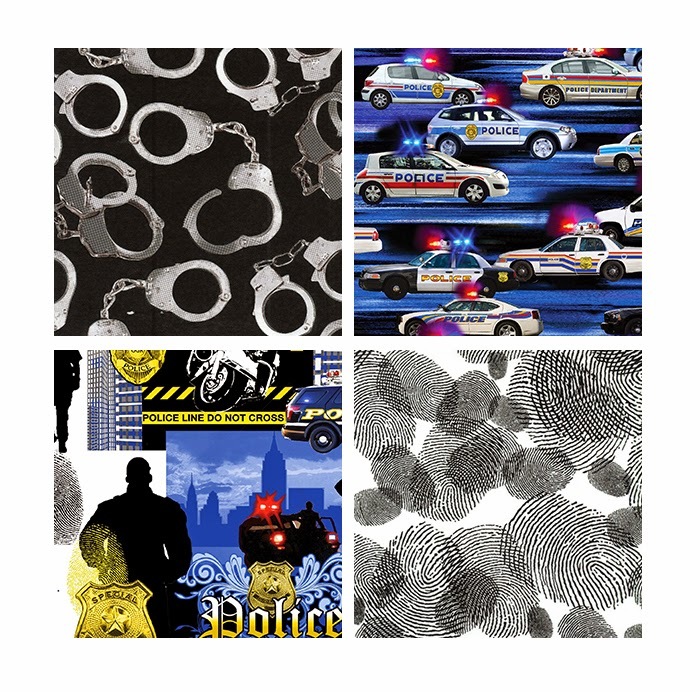 I looked several years ago for fabric to make a quilt for a police officer, and there wasn't much choice. Same for a firefighter (please say there are more designs coming for that line). BUT, any quilt made for a "handy" person at this address will be for myself. I've been wearing that hat for a number of years now. I'm always looking for something that says "books" as well. Some fun fabrics for I Spy quilts, too. Thanks for sharing. Too awesome, I have three of those men in Public Safety very dear to my heart. 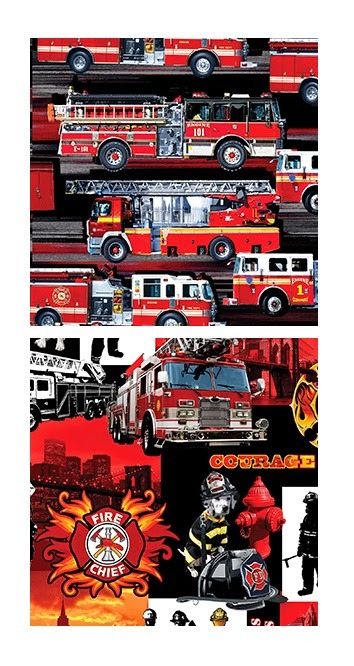 My brother is a retired fire captain and these firemen fabrics would make the perfect quilt for his young son.